THEATRE group and educational provider, Unique Voice, will be launching a new performing arts Saturday school this March on Gloucester Road. The arts factory, to be located at St Michael's Church on Pigsty Hill, aims to build children's confidence and team work skills through creativity and movement. Workshops will focus on developing skills in physical theatre, drama and puppetry. 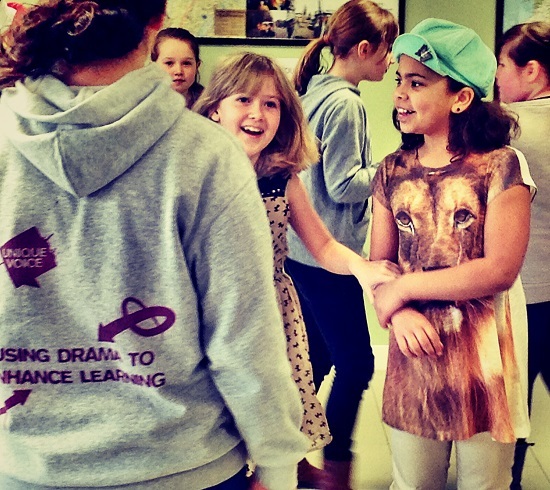 Since its inception, Unique Voice has worked with a number of schools across Bristol promoting healthy relationships through theatrical performance and workshops. Supported by the NSPCC and patron, Sir Patrick Stewart, campaigns have raised awareness about domestic violence and bullying, and the impact of social media on children. The term for the performing arts factory will run over a period of 12 weeks, with a break in between. The term is to start on March 1. The first six weeks will be spent developing skills and brainstorming, and the final six weeks spent creating the performance. At the end of the term, a production will be given to parents. The arts factory is a development of the after-school drama classes which Unique Voice runs. Claire Farnham, co-founder of Unique Voice, said: "We're very, very excited - it's always been something we've wanted to do. "We've done a lot of work in south Bristol, so it's great for us to have the opportunity to do something on Gloucester Road - it's got a great community feel." Caroline Dean, project developer at Unique Voice, said: "We're wanting to give the factory a company feel, and give the children ownership over what they've created. We'll just be there to facilitate. "We're aiming to create the idea that everyone is a working cog in the factory. We'll be encouraging everyone to try something as they might enjoy it. But it's also about making sure that those who have specific skills, whether it be in performing or script writing, are celebrated." She added: "We want to have the Unique Voice meaning behind it by introducing themes to children, and how they can associate to them to the world around them." Children will be provided with a t-shirt and scrap book, so they can brainstorm ideas. Sessions, held every Saturday from 10am-1pm, hold a maximum of 30 children between ages six and 15. Depending on their age, children will be put into sub-groups, with older ones being encouraged to develop on their leadership skills. Specialist tutors are to be brought in to help teach the children. The group hopes to set up other factories elsewhere, and workshops for children ages six and under. They are also hoping to team up with local businesses in the area. There is a £20 annual membership fee, and each term costs £216.